we celebrated a 7th birthday here on february 14th. yes, our sweet bear is getting bigger by the day! he wanted to take something yummy to school to share with his classmates and i am not a huge fan of sending cupcakes; they are sweet and junky and full allergens, so not all kids can necessarily have some. last year i made these awesome fruit sushi’s, which were an even bigger hit than i ever could have imagined! 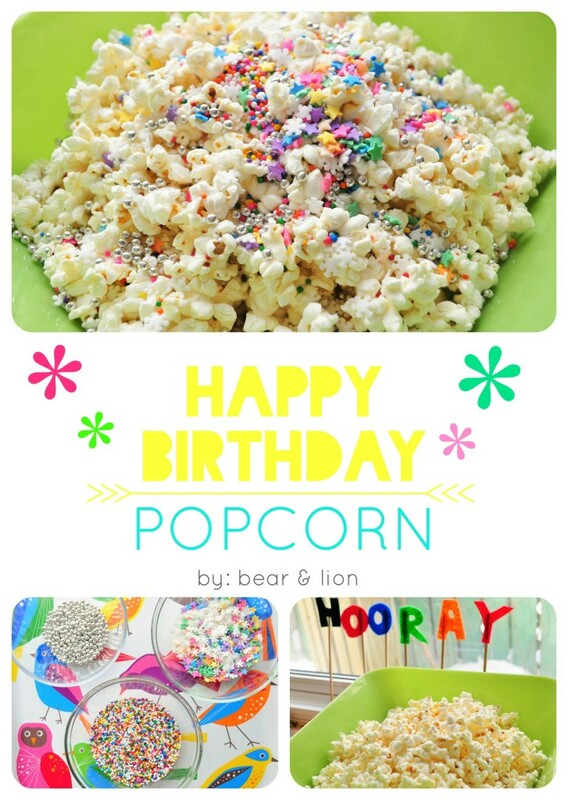 this year i kept things super simple and made some super fancy birthday pop corn! i popped a couple of bags of popcorn, let it cool, then added some star & snowflake sprinkles, silver balls and traditional colourful sprinkles. dropped it off at school for the classes valentine’s day party where the kids started off the festivities with a heartfelt bonne fête for my bear! i left the bowl and afterwards heard from the kids that they LOVED the super fancy birthday popcorn!